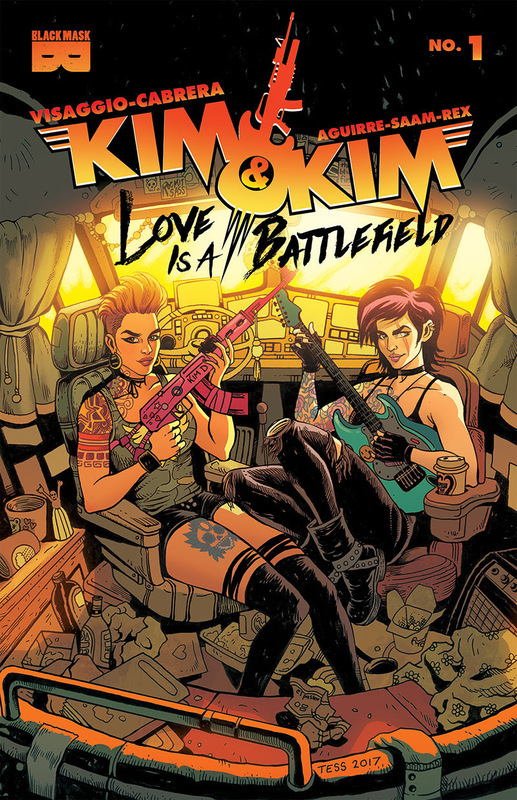 The Fellowship has obtained a first look at KIM & KIM: LOVE IS A BATTLEFIELD #1 from Black Mask Studios. 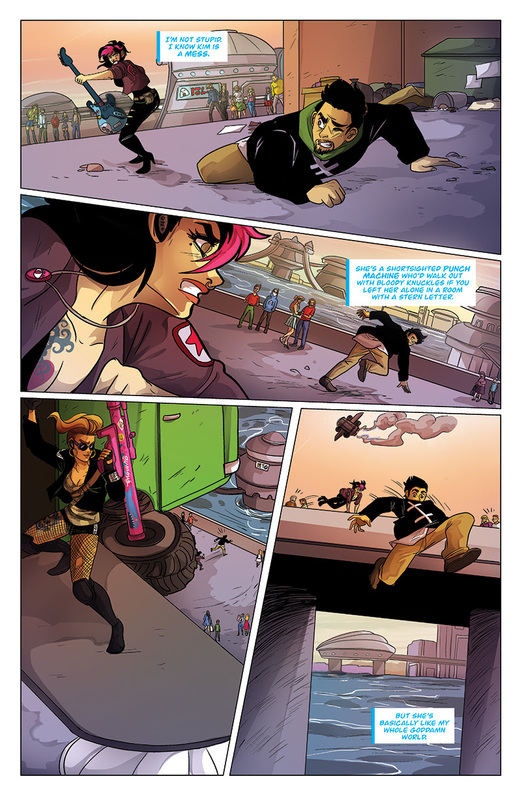 The issue, which hits stores July 5th, is written by Magdalene Visaggio, art by Eva Cabrera, colors by Claudia Aguirre, and letters by Zakk Saam. 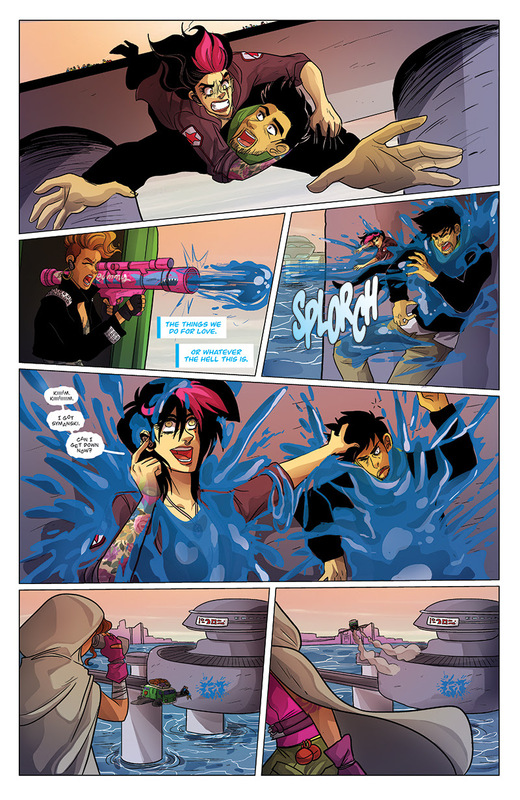 The cover is by Tess Fowler. 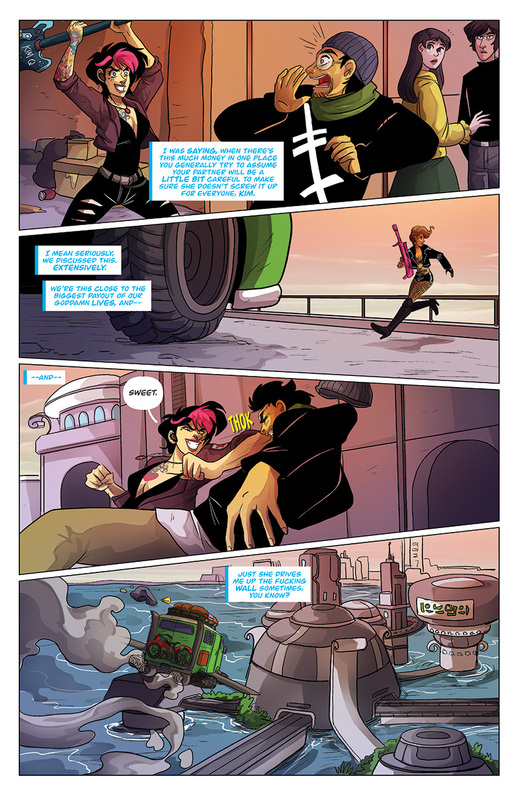 The Fighting Kims finally get the bounty of their lives and Kim D reconnects with an ex-girlfriend, so of course everything immediately goes catastrophically wrong. 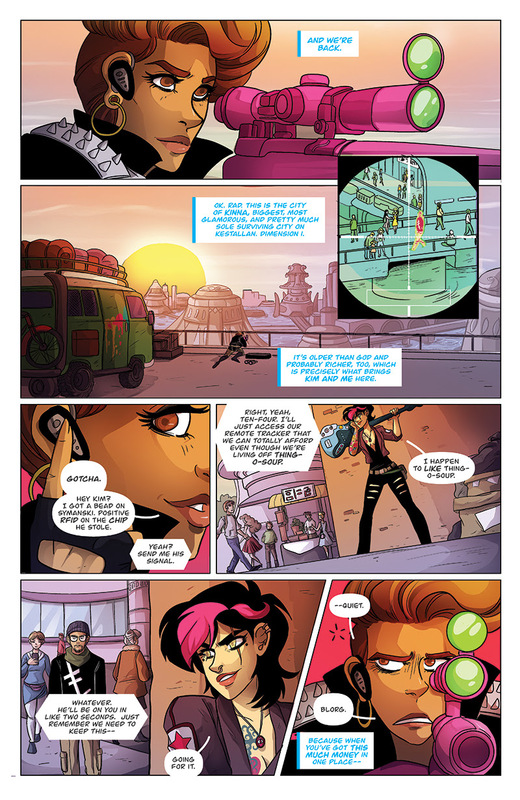 This high-flying, rad AF tale of exes and woes is the first in a four-part follow-up to 2016's Eisner-nominated summer favorite. Awesome!